I love breakfast. No, make that I LOVE BREAKFAST. It is without question my favourite meal. As you can tell from this blog I love other meals too. A lot. But breakfast is sine qua non to my daily happiness. Although it is rarely elaborate, and often involving no equipment other than a knife and hot overhead grill – or bowl and spoon – any sustenance is gratefully received. If ever I have to skip breakfast (I can’t remember when that last happened) I get seriously grumpy. Dropped pacifier, burst football, home team lost kind of grumpy. Stay the heck away if that happens is all I can say. 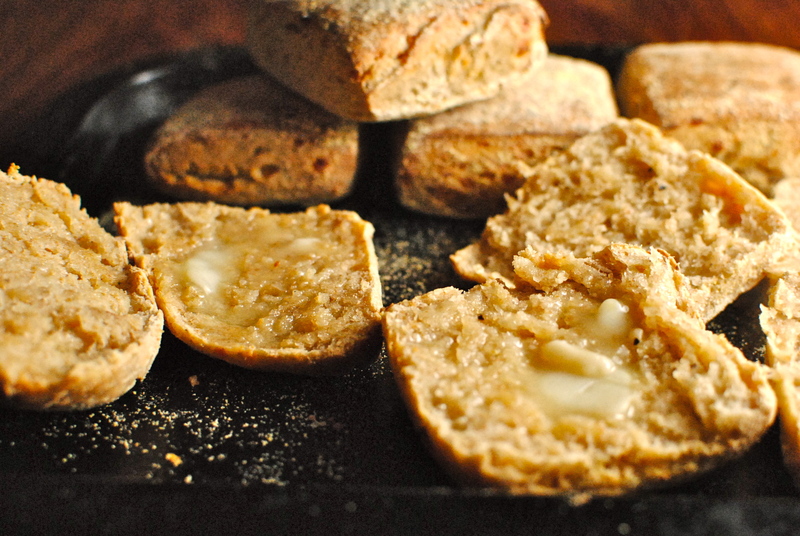 Breakfast could be a hot, cornmeal-dusted wholemeal muffin (recipe soon! ), spread with smooshed ripe Haas avocado, and topped with cherry tomato halves and a (sneaky) crumble of Maldon salt. Or a weekend treat of the softest omelette, filled with herbs and love from my dear Miss R. On really cold days it’s often a workaday bowl of Scottish porridge, made special and more sustaining with a healthy dod of nubbly-sweet almond butter, whizzed up dates and a blanket of grated carrot. Odd perhaps, but good. Although a quick-out-the-door food, I don’t often buy cereals. So my family is always very nice to me so that I (try to) keep the granola jar filled with one of two recipes that I tend to use – one fruity and one cocoa-ey. I however favour savoury, and primarily partake of granola as a bedtime snack on the rare occasion that I have eaten too lightly at dinner. cheddar and black pepper muffins – recipe coming soon! And so to this recipe. It ticks all of my breakfast boxes: protein, savoury, sustaining, nutritious. Have I missed out anything? Oh yes, delicious. If by necessity, or choice, you are a bolt out the door with a piece of toast in your hand kind of person, this ain’t for you. Or at least during the working week. But, if you are able to spend a few extra minutes putting this together I will give you an iron-clad guarantee that this will pay back the effort in energy and tummy-stretching fullness. Protein, on top of protein, on top of protein = satisfaction. You will not, I repeat not, be reaching for an 11 o’clock Twix: no room down there. It’s still working on that healthy pile of protein, keeping your blood sugar levels steady eddie, staving off sugar cravings with a metaphorical pointy stick. 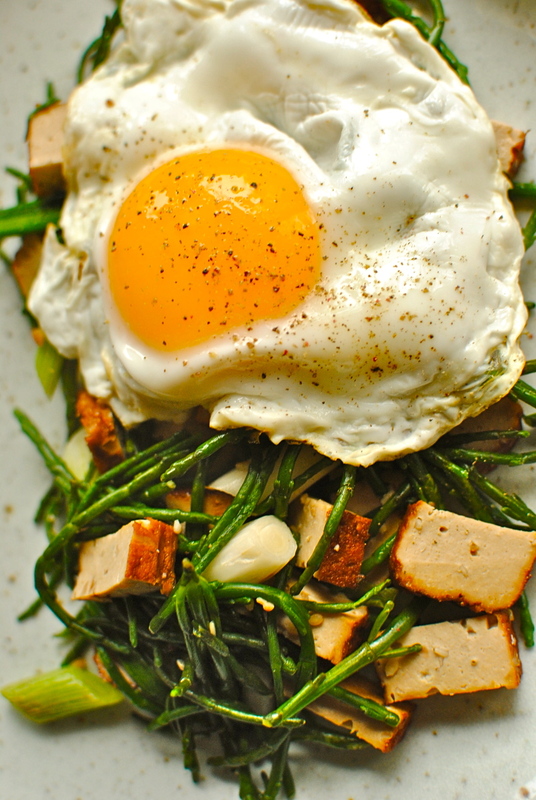 I have spent a previous post (along with a recipe for steamfried egg with smoked tofu & samphire – gorgeous) extolling the virtues of, and statistics on, eating breakfast, so I shan’t bore for Britain just now. But we do know that breakfast eaters tend to be slimmer without dieting, and that those who eat protein rather than carbs for breakfast even more so. Even if weight is not an issue for you, protein is usually more sustaining in the long run. Don’t believe me? Then do this: on one morning eat two pieces of toast with a scrape of butter (or butter-like substance, if you must) and jam. The next morning have the same type of bread toasted, but instead of butter use two tablespoons of almond butter or peanut butter. On both days see how long it takes until the first hunger pangs strike. The results may surprise you. I have eaten all kinds of crazy things for breakfast (that’s another post) but this is the first time I have eaten lentils for breakfast. I will definitely be including it in my repertoire of things I like to eat often. I really did feel great after tucking in. One thing I will be sure to do – and I heartily recommend this – is to make a batch of lentils and keep them in the fridge or freezer. This one easy step brings this recipe – and others – into the realms of possibility for weekday eating. I cooked a HUGE batch of lentils for a Shepherdess Pie I made for my cancer nutrition workshop (and a wee one for us) and used some extra for this recipe. I popped portioned bags of the rest in the freezer to enjoy another day. I will just take out what I need and defrost overnight in the fridge (or you microwave owners could just decide in the morning). And then it’s just a question of poaching an egg, heating the lentils and slapping on the yogurt – with or without the added spice. Toast optional. Happiness guaranteed. I am popping this over to a new-to-me recipe roundup, the No Waste Food Challenge, hosted this month at Elizabeth’s Kitchen, and the brainchild of Kate at Turquoise Kitchen. The ingredient this month is Eggs. And if Mark of Javelin Warrior’s Cookin’ With Luv doesn’t mind, I will link up to his Made With Love Mondays as it is homemade and made with love. 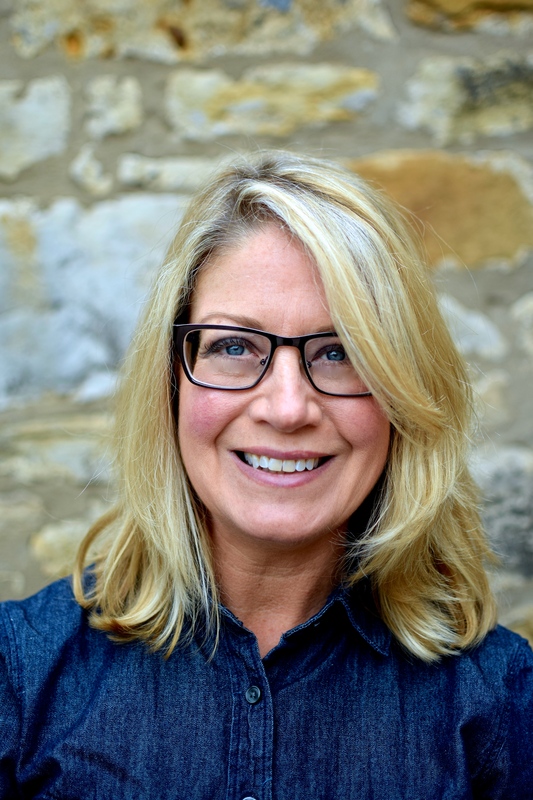 Finally, another new blogging challenge in the form of My Legume Love Affair #57 via PJ at Seduce Your Tastebuds, Lisa of Lisa’s Kitchen, and Susan the host of Well-Seasoned Cook. This is always a vegetarian roundup so go over for some veggie inspiration. Before I get on with the recipe I will make a public service announcement to my Edinburgh, Fife and West Lothian (and Renfrewshire?) readers. On Sunday, 17th March (this Sunday), beautiful Linlithgow Palace is hosting a ‘takedown’, which is a democratic food competition where the punters get to choose their favourite dishes as they are cooked. The theme is ‘Scottish Soul Food’ and it will see top Scottish chefs go head to head using the very best local and seasonal ingredients. There will also be talks and a chance to meet the chefs. Entry is £10 and this entitles you to a taste from all of the chef’s dishes. I am going to try and get along to this as it sounds great. I think it is a first in Scotland. It’s been organised as part of a documentary series for the BBC, following a group of Linlithgow Academy 6th years (17 year olds) as they set up a healthy ‘pop-up’ takeaway business from their school’s kitchen. So if you fancy it, come along between 1 and 3 to eat a selection of amazing dishes from great chefs like Neil Forbes and Mark Greenaway. I would get there early as the chefs will draw their own groupies too. For more info, and to purchase online tickets go to scottishsoulfood.bpt.me. Hope to see you there! Like some of my other recipes this slightly unusual breakfast has overtones of both India and the Middle East. But, if you don’t want something so exotic for breakfast, strip out the spices and enjoy as is. 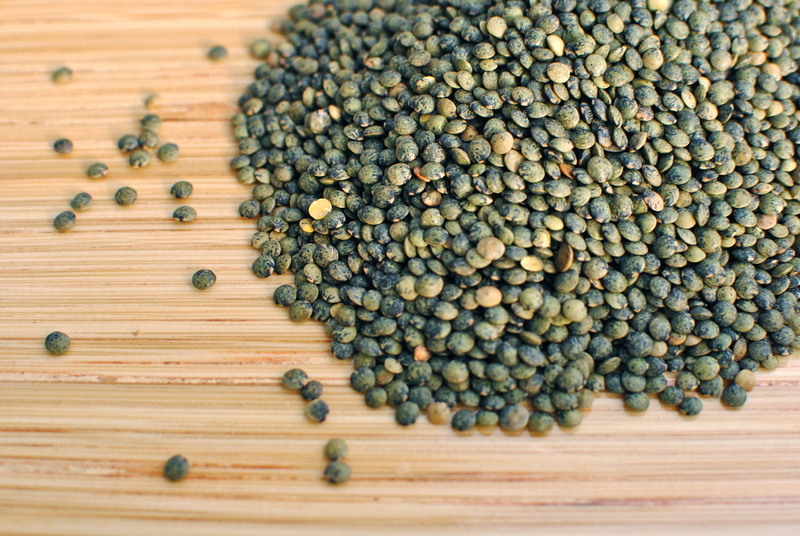 French – or Puy – lentils have loads of earthy taste without extra titivation. I have given instructions for both a longer, more leisurely weekend recipe, and a quick and dirty work week version too. Make either even more quickly by cooking a batch of lentils ahead of time and stashing them in the fridge or freezer. I try and remember to do this any time I cook up legumes and wholegrains. It makes eating well much more spontaneous. You could of course use tinned or ‘pouch’ lentils and cut out the whole cooking thing altogether. First of all if you are using raw lentils, wash them, pop into a saucepan and cover with three times their volume of fresh water. Bring to the boil, turn down to a fast simmer, cover and simmer for 20 minutes, or until tender but not falling apart. Drain and set aside. While the lentils are simmering heat the oil in a sauté pan and add the onions. Saute gently on a low-ish heat until they are soft, stir in the cumin, coriander, ginger, turmeric and chopped greens. Or you may choose not to use spices. Increase the heat and stir occasionally. You want to just wilt the greens. Spinach will take the least amount of time. You may want to add a splash of water if using other, less tender, greens. Cover and leave while you organise the yogurt and eggs. In a small bowl, mix together the yogurt, feta and paprika. Maybe add a squeeze of lemon if you like. Finally, the eggs. Poach or fry, as you like. I like to poach them slightly differently to others as I don’t find that swirling the water is necessary and can even make the white all ‘strandy’ if you are too vigourous. I just simmer a small pan of water, add the vinegar, break the eggs into a teacup each, and slide them into the simmering water. Set the timer for 2 minutes, then when the time is up let them sit in the water as I put a spoon of lentils on a plate, dollop on half the yogurt, top with more lentils and finally scoop out an egg from the water with a slotted spoon and lay the egg on the pile of lentils. Do another plate of the same. Sprinkle over whatever herb you have chopped and crumble over some salt if you like. Heat half a pouch of lentils or some tinned lentils with chopped greens or even chopped tomatoes, stir in a smidge of curry paste, a splash of soy sauce or even some balsamic vinegar, tamarind paste or lemon – whatever you fancy. Pop on a plate and top with a cooked egg and a dollop of good yogurt. A flurry of chopped herbs lifts the whole dish, but aren’t essential. What a lovely comment. Thank you so much. Regarding a book, I am behind the scenes putting together an ebook for one of cancer nutrition subjects. This will be me testing the water a bit and seeing how I get on in a more niche sector of publishing. The subject and type of recipes won’t entice too many regular readers, so I won’t make a fanfare about it. But I will be sure to let you know when I get my act together and actually do it. I am the world’s biggest procrastinator with this kind of stuff. Fear of failure is what a psychologist would say! Thanks for including my French Toast in you list! 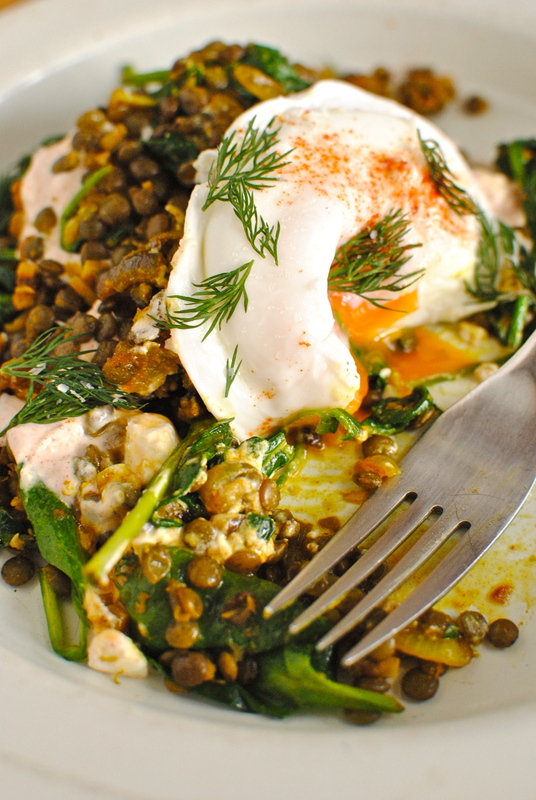 I am a much bigger fan of lunch and dinner than breakfast but that egg with lentils looks like a pretty magnificent way to start the day! This looks really good. I like to eat savory leftovers for breakfast, but for some reason don’t make savory breakfast foods – might be time to change that! I sometimes have leftovers too. Leftover homemade pizza is awesome! This is not just for breakfast but at any time when the hunger pangs can’t be put off any longer! What a fantastic blog post! I enjoyed every word. I love the look of all your breakfast suggestions too, especially the granolas, and the scones and the… oh everything! Thank you for entering your lentil recipe into the No Waste Food Challenge. No, thank YOU, Elizabeth. A great challenge that makes us put our thinking caps on. Well, they looked so good I couldn’t help myself! OMG! This looks so good! I can’t wait to try it!! Thank you! Mmmmm. 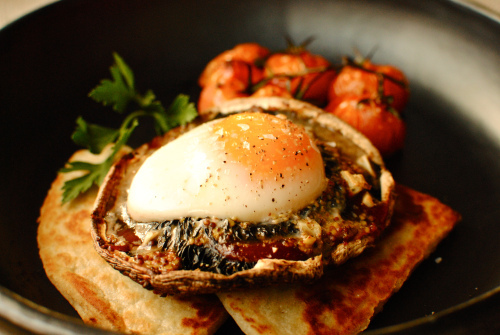 I love a savoury eggy legumey breakfast. It’s not often that I’ll get up and make something like this, but what I will do is keep single portions of vegetarian chili or lentils or other savoury legume dishes in the freezer, then defrost and top with a fried or poached egg for a quick, nutritious, and protein filled breakfast. I wish I had more time today now that I’ve seen this, but I’ll plan for it on the weekend for sure. I love an egg-centric breakfast; I have one several times a week, though it is usually much simpler (eggs+ a green, or soft scrambled with leeks and mushrooms)! This looks fantastic though, definitely something I would enjoy making on a weekend, or even for lunch. Thank you, Kellie. Greens and eggs (as featured on my spicy kale and egg post) is a mainstay, and very quick. And probably once a week I will stirfry some shiitake with garlic and have that on toast. It sounds like we are very much on the same wavelength Darya. Thanks so much for commenting. This is right up my alley. 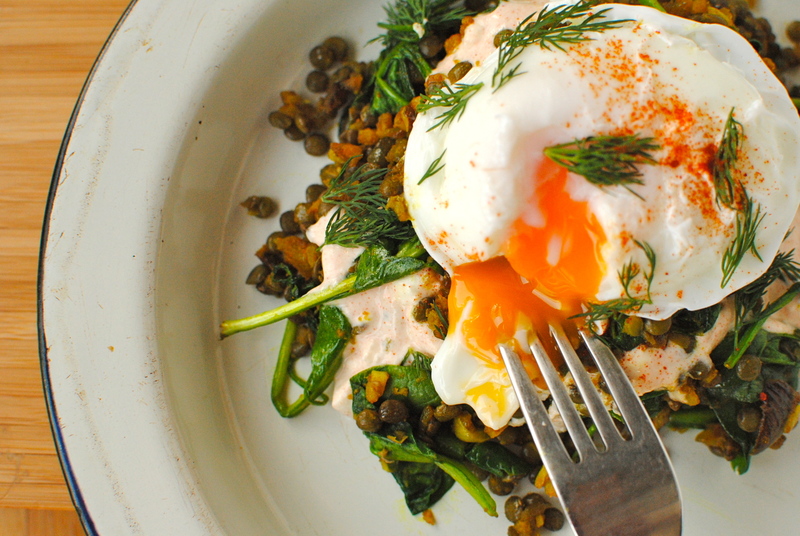 LEntils, and an egg with runny yolk. Please come over and make this for me 🙂 haha. I love the Greek yogurt and feta too, what a combo! Saw this post and made it last night- It was delicious! Thanks for the recipe! I’ll be honest, I eat a lot of oat-related breakfasts – currently I’m on a homemade granola binge, but before that it was oatmeal of all kinds. But when I’m not scarfing oats, it’s typically eggs. And this sounds marvelous. I love the use of lentils and what a tasty dish for just about any meal! Thanks so much for sharing! Thanks Mark. Have you seen my take on porridge? It’s a bit wacky (what’s new) but I love it. Cashew butter is the key. What’s your favourite way with porridge? 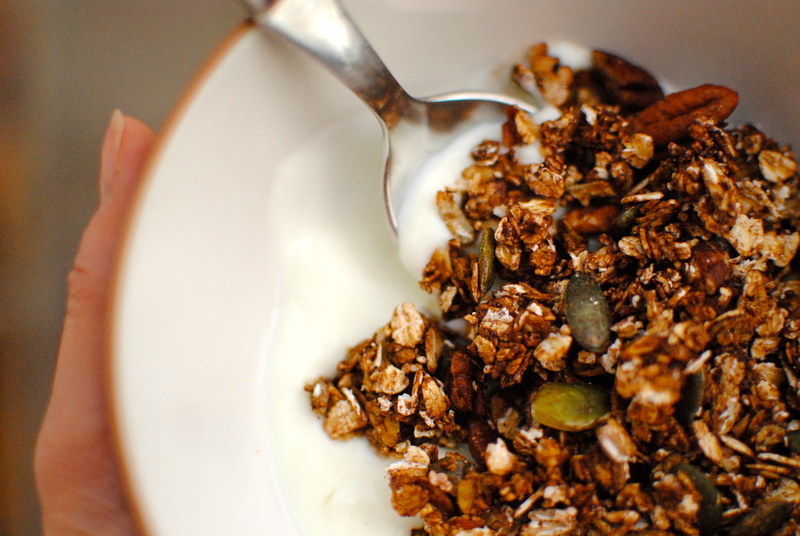 And what’s your fave granola ingredients? What a cracking way to start the day! Lovely idea for weekend breakfast or brunch. Interesting point about getting hunger pangs come 11 o’clock depending on what you consume for breakfast. So protein brekkie is the way to go! 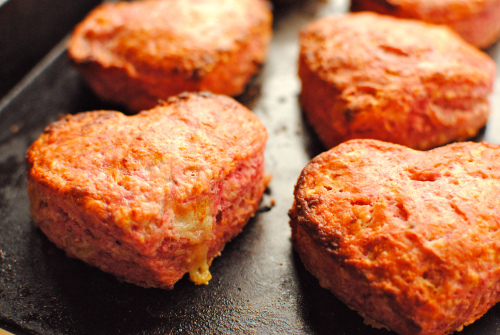 Your cheddar and black pepper muffins sound a treat too! The muffins are coming soon. They are my take on a Dan Lepard recipe, so it’s not me winging it for once 😉 Let me know if you find a difference between a protein based and carb based breakfast. Everyone’s different but if we can identify what are our most energising and longest lasting breakfasts, we tend to make better food decisions later in the day. Thanks Jess. And I will tell Miss R, my top tune picker, that you liked this week’s choice. Wow is that a protein packed breakfast. The egg on top looks amazing. I can’t wait to try some of these recipes. I’m getting back into smoothies again now that the weather is less winter-like. Your Pineapple and Ginger Kale Smoothie is a good place to start. As a graduate student, I don’t have much time to feed myself, so I usually do a berries and almond milk smoothie for breakfast. This morning, however, I treated myself to a single-serving of this protein-rich magnificence (what the heck, it’s Sunday, and it’s finals week…)! THANK YOU SO MUCH. You just made my Sunday so much more joyful! This Californian-struggling-to-survive-in-Chicago sends you so, so many virtual internet kisses! Kellie not only is your main recipes wonderful the other ones you link to are so inspiring. And I look forward to those cheese and black pepper muffins! I am with you on the protein for breakfast thing. I have to say I wish I had time to have a better quality breakfast and it often is cereal, but I realise the nut butter and toast option is one I should add in to my repertoire. Nut butter is a great time saver and really does fill you up even with a small amount. Highly recommended! I’m really thrilled Elizabeth! That’s fabulous feedback :D. It’s really simple too when you already have cooked lentils (I don’t know if I would bother otherwise!). LEt me know if you cook anything else, and how it was for you. Good or bad! I had to make it again this evening (still had half a packet of lentils left). Oh my – it is definitely my new favourite dish! I’ve blogged about it, I hope this is ok, but I didn’t copy your recipe, I just linked back to your page. 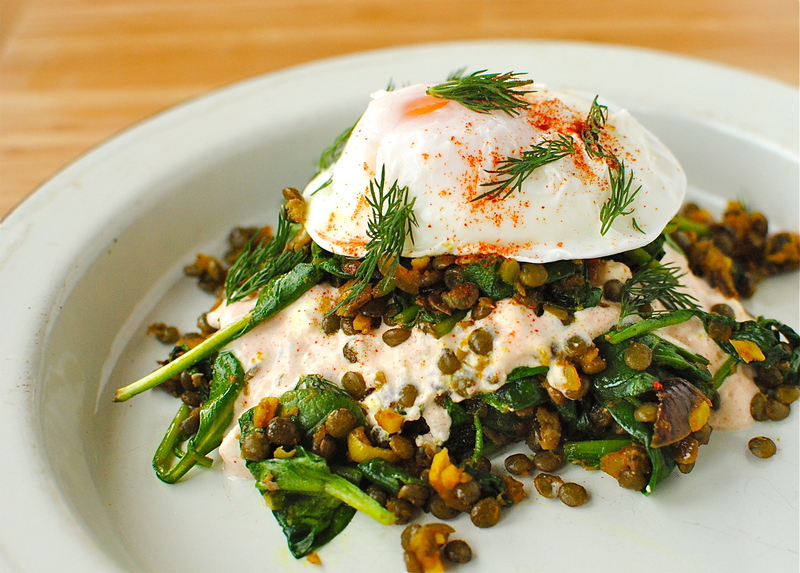 The lentil and poached egg dish is delicious! I’m so happy I found this recipe… it was even better that I expected. I used spinach and arugula for the greens. I tried the dish with the paprika yogurt…. liked it very much. I also have tried it with goat cheese instead of the yogurt… also good. Next time, I may reduce the cumin a little. I think it was a little overpowering for me. Can’t wait to make this dish again! Hi there. I think you would need to really adapt this one. You’d need to fry or hardcook the egg and use something like crème fraiche or quark. As for the cheese, why not try some paneer?